In the year 2552 humanity is at war with the alien alliance known as "the covenant". Is a lost war, with millions of world burned to the ground and billions death in this genocidal camping humanity only hope lies in the brave soldiers of the UNSC to defend earth and avoid extinction. 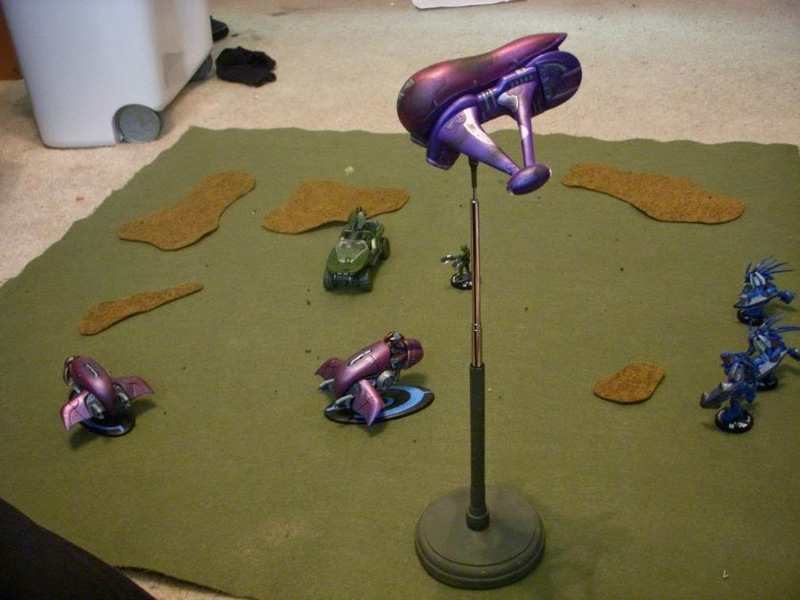 This rulebook provides the rules for fast, tactical miniatures battles (skirmishes) in the Halo universe. The entire Halo universe forms the backdrop for this fast-paced, action-packed miniatures game. With all the heroes, villains, vehicles and aliens of the creatures to choose from, you command forces that can sway the course of history—or at least the next battle! You pick your faction. You select your troops. You command your forces. And it’s up to you to prove yourself against the competition in head-to-head action set in the fantastic Halo universe. Halo Tactics is a modular game build using the Halo ActionClix/HeroClix rules as a base set of rules and expanded into new ways of playing, this game have two basic ways of being played: Grid system or Open terrain, leaving to the players to choose his favoured mode of playing. Open Terrain: The open terrain game mode is the standard way to play Halo Tactics. In this mode, the game will set up in a table in which the player will set up 3D terrain that will use in the battle. Grid system: When a player chooses to play using the Grid system the will use a battle map (a 2d map that show the terrain features from a top point of view) which is divided in a square grid of 1" (also called 1 UM). This system is also used when a miniature move inside of a building. The rules for playing in a Grid system is explained in the chapter X. In Halo Tactics we will use MU, also call Measure units, in order to determine distances. One MU is equal to 1 inch. In a skirmish, a UNSC squad and a Covenant squad battle each other. The winner is the player whose squad defeats all the enemy characters. For other sorts of scenarios, including multiplayer and team skirmishes, see Scenarios on page 25. Halo Tactics is an involving game, with many different factions, weapons and possibilities. In a game of this size and complexity there are bound to be occasions where a particular situation lies outside these rules, often when unusual models interact. At other times you may know the rule is covered but you just can’t seem to find the right page. Then again you may know the rule, but the reality of exactly where your models are on the table may make it a really close call. All of these instances can lead to arguments, so it is important to remember that the rules are just a framework to create an enjoyable game. Winning at any cost is less important than making sure both players – not just the victor – have a good time. If a dispute does crop up then work out the answer in a gentlemanly manner. Many players simply like to roll off and let the dice decide who is right, allowing them to get straight back to blasting each other to pieces. After the game you can happily continue your discussion of the finer points of the rules, or agree how you will both interpret them should the same situation happen again. You could even decide to change the rules to suit you better (this is known as a ‘house rule’). The most important rule then is that the rules aren’t all that important! So long as both players agree you can treat them as sacrosanct or mere guidelines – the choice is entirely yours. Tie-Breaker: If no character has damaged an enemy character, made an attack roll, or forced an enemy character to make a save for 10 rounds in a row, total up the points for characters that have been defeated. The player who has defeated the most points’ worth of characters is the winner. If players are tied, the winner is the player who has a character closest to the center of the battle grid. If players are still tied, the player with the highest-cost character nearest the center is the winner. In a Halo Tactics battle you often need to roll dice to see how the actions of your models turn out – how effective their shooting is, what damage they’ve done to a vehicle, if they avoid an explosion, and so on. Almost all of the dice rolls in Halo Tactics use standard six-sided dice (usually referred to as ‘D6’). In rare circumstances you may be told to roll a D3. Since there’s no such thing as a three-sided dice, use the following method for determining a score between 1 and 3. Roll a D6 and halve the score, rounding up. Thus 1 or 2=1, 3 or 4=2 and 5 or 6=3. Sometimes, you may have to modify the result of the dice roll. This is noted as D6 plus or minus a number, such as D6+1 or D6-2. Roll the dice and add or subtract the number to or from the score to get the final result. For example, D6+2 means roll a dice and add 2 to the score, giving a total of between 3 and 8. You may also be told to roll a number of dice in one go, which is written as 2D6, 3D6, and so on. Roll the indicated number of dice and add the scores together, so a 2D6 roll is two dice rolled and added together for a score of between 2-12. Another method is to multiply the score of a dice by a certain amount, such as D6x5 for a total between 5 and 30. Finally, a combination of methods may be used, such as 3D6-3 giving a total of 0-15. In some situations the rules allow you a ‘re-roll’ of the dice. This is exactly as it sounds – pick up the dice you wish to re-roll and roll them again. The second score counts, even if it means a worse result than the first, and no single dice can be re-rolled more than once regardless of the source of the re-roll. If you re-roll a 2D6 or 3D6 roll, you must re-roll all of the dice and not just some of them, unless the rule granting you the re-roll explicitly specifies otherwise. If the rules require players to roll-off, this simply means that each player rolls a dice and the player that scores the highest result wins the roll-off. If the players roll the same result, both dice must be rolled again until one player is the winner. 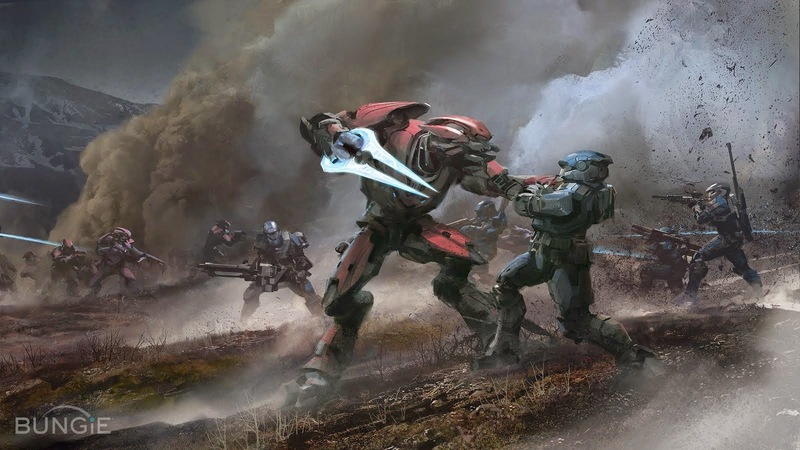 In games of Halo Tactics, distances are measured in inches ("), also called measured units (MU), with a tape measure o a measuring stick. You can always check any distance at any time. Distances between models and all other objects (which can be other models, terrain features and so on) are always measured from the closest point on one base to the closest point on the other base. For example, if any part of a model's base is within 6" of the base of an enemy character, the two characters are said to be within 6" of each other. Sometimes the rules will call upon a character to move directly towards another character, or some other feature on the battlefield. Where this is the case, draw an imaginary line from the centre of the miniature to its destination, and move the character forwards along this line a number of inches equal to the distance stated.